Enjoy the enchantment of Paris and the Eiffel Tower… without ever leaving your room! 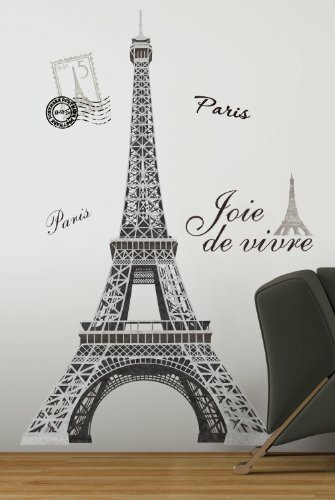 This set of giant wall decals will bring the famous tower right into your home. Application is easy: just peel each pre-cut section from the liner and smooth it on the wall. You can remove and reposition each piece as often as you like, until you’ve discovered the perfect layout. A perfect pick for teen or tween bedrooms!